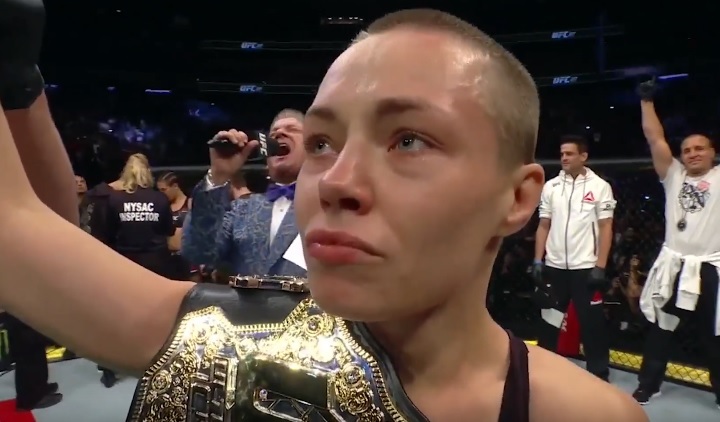 At least two retired MMA fighters took to Twitter to share their reactions after the victory of Rose “Thug” Namajunas, 25, over Joanna Jerdrzejczyk, 40, at “UFC 217.” The match took place at Madison Square Garden in New York City, New York, on Nov. 4, Saturday. Grant competed in the lightweight division of UFC from 2006 to 2013. He was born in Halifax, Nova Scotia, Canada but he fought out of Cole Harbour, Nova Scotia. In total, Grant had a record of 21 wins and 5 losses. Out of his 21 wins, 13 were won by submission and only 1 out of his 5 losses was by submission. Sylvia ended his MMA career with a record of 31 wins, 10 losses and 1 no contest. After three consecutive losses from 2012 to 2013, he decided to hang up his gloves. On Oct. 15, 2003, Sylvia was stripped of the UFC heavyweight champion title because he tested positive for anabolic steroids. He regained the title at “UFC 59” where he defeated Andrei Arlovski then successfully defended the title at “UFC 61” again from Arlovski and at “UFC 116” from Shane Carwin.